An icon of the world’s first Industrial Revolution, the ‘sky-borne’ waterway over the Pontcysyllte Aqueduct remained the world’s highest canal aqueduct for two hundred years. 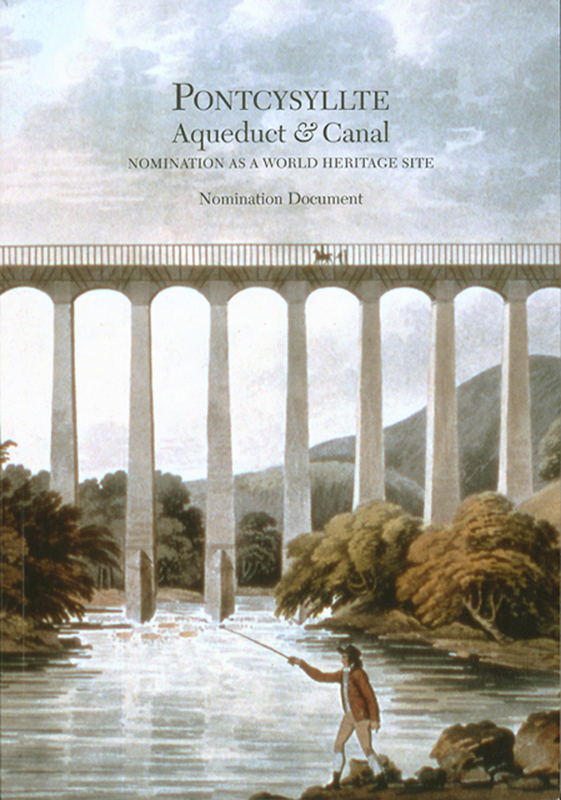 Built in north-east Wales between 1795 and 1808, the innovative Pontcysyllte and Chirk Aqueducts were built on eleven miles of heavily engineered waterway that formed the first Heroic Canal of the great age of waterways construction. It was the greatest work of two of the outstanding figures in the history of civil engineering: Thomas Telford and William Jessop. The international importance is assessed, the route described in detail and conservation work discussed in this profusely illustrated and authoritative volume written to justify the inscription of this globally important series of monuments on the World Heritage List. Published by the Royal Commission and Wrexham County Borough Council with funding from Cadw, on behalf of the World heritage Site Steering Group which is also co-led by British Waterways.